Pianist Brian Holland and drummer Danny Coots were getting ready to record their fifth duo album when, spontaneously on the day of the session, they decided to make it a trio and add the talented guitarist Andy Reiss. Within two days they had recorded all of the music for 5th Avenue Breakdown even though a lot of the material was new to either Holland or Reiss. No matter, the results are swinging, spirited and pure fun. On a set that includes Stan Kenton’s “Dynaflow,” Fats Waller’s “Soothin’ Syrup Stomp,” Sidney Bechet’s “Le Premier Bal,” and Irving Berlin’s touching ballad “For the Very First Time” along with ten other songs, the trio plays with such exuberance, joy, and skill that they sound like they have been working together for years rather than just for a day. Holland shows that he is a superb swing pianist, Reiss excels as both a soloist and a rhythm guitarist, and Coots is typically colorful in support of the lead voices. B.A.D. 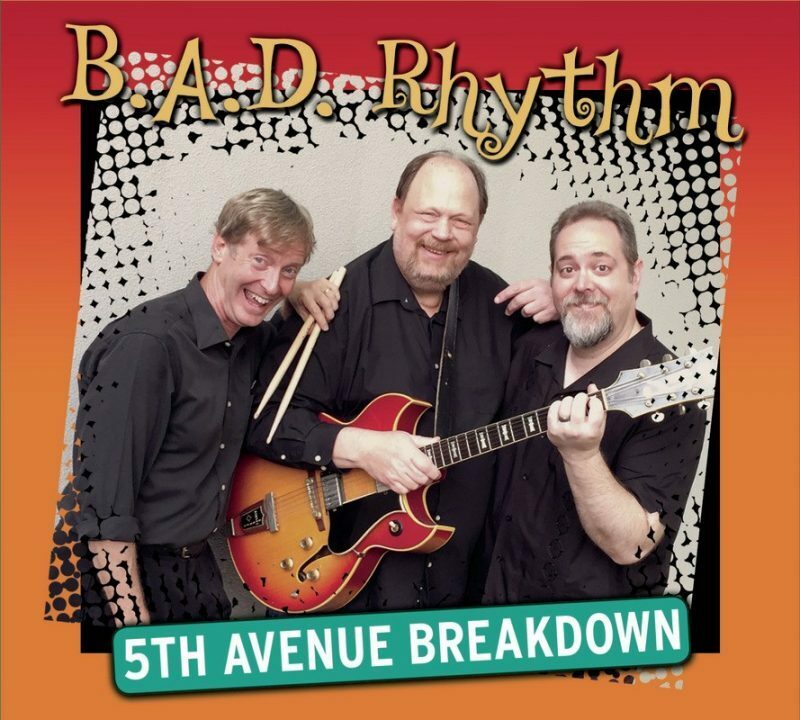 Rhythm (“B.A.D.” is the starting letter of each of their first names) will be enjoyed by anyone who loves small-group swing.